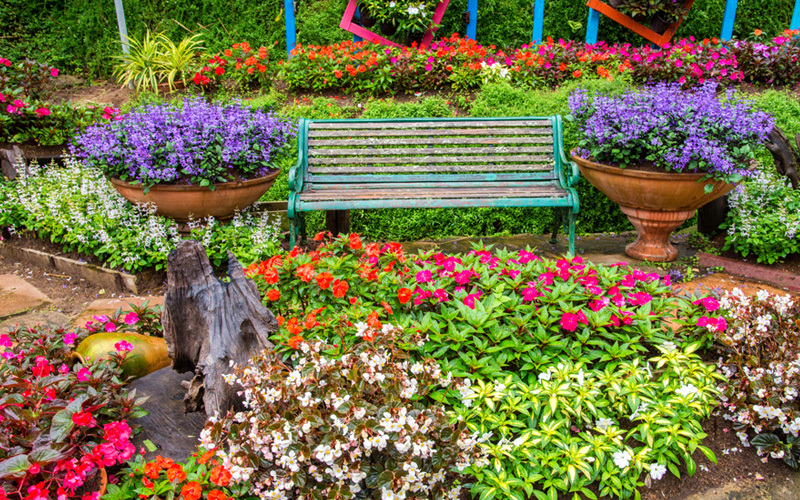 If you are interested in ideas for your own garden, you'll be able to learn a lot from these 20 gardens exploding with color. 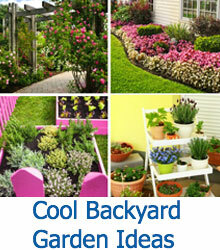 Have you ever wanted to have your very own garden just brimming with beautiful colors? There may seem like there’s a lot to it, but it really isn’t that difficult with proper planning and a solid idea of what sort of aesthetic you’d like for your garden. 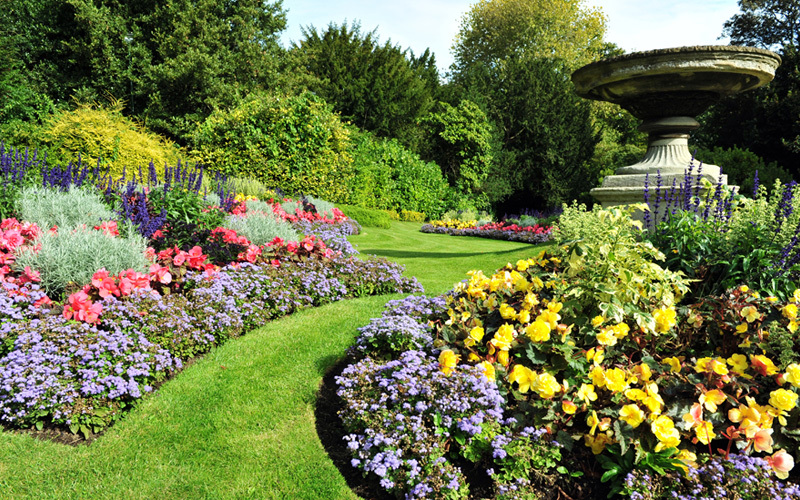 Gardens can be personal and private, or they can be placed in conspicuous places on your property for the entire world to see. They can be unique or traditional, and each has their own set of appeals that draws a specific type of gardener. 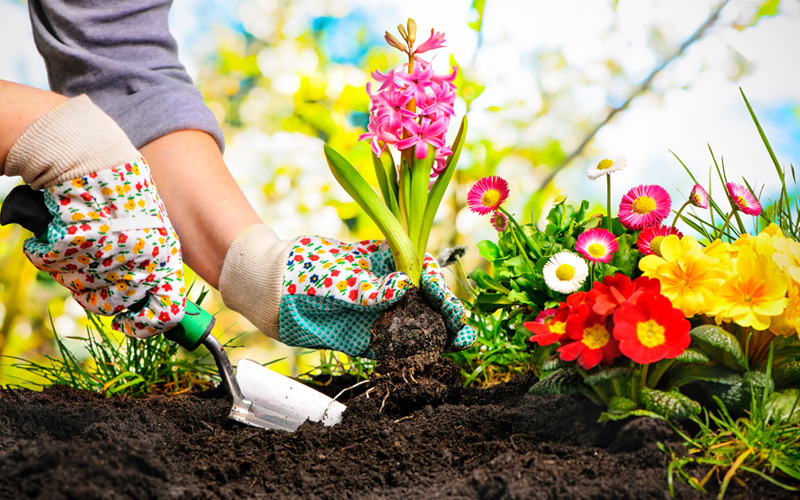 There is no right way to build your garden, but there are some tips and tricks you can use to help create the most beautiful and well-balanced garden you possibly can. 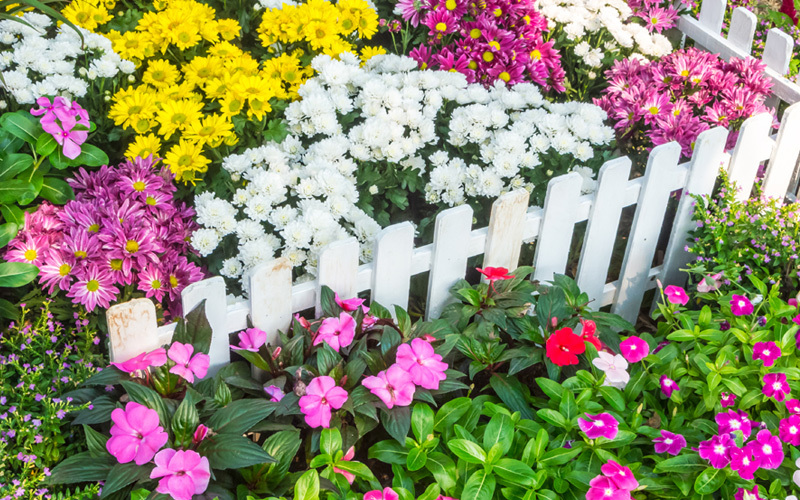 In this article, you’ll see several examples of gardens that are positively bursting with bright, vibrant colors. Each garden is different from the rest, and they each have specific qualities that make them perfect in their own way. 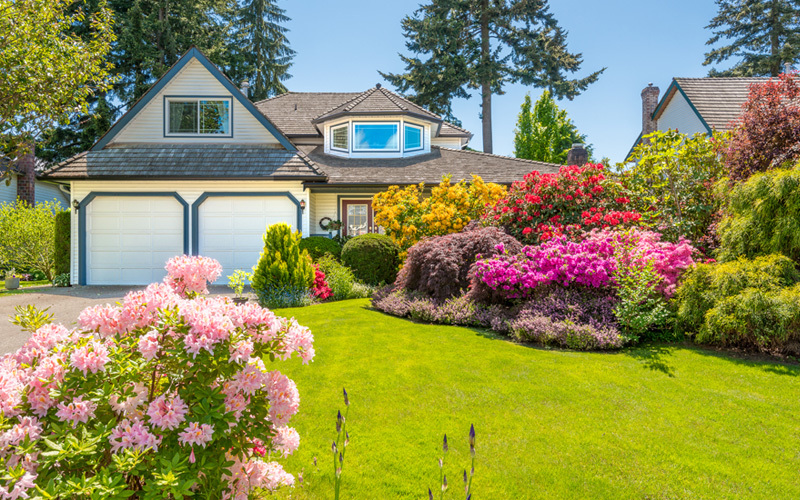 Creating a stunning garden is all about using your space to properly showcase your own personality through a living masterpiece. Some of these designs below are simply breathtaking, and the arrangements are some of the most exquisite you might ever see. There isn’t a thing about any of these gardens that needs to be changed. Whoever designed them and put the work into getting them where they are clearly had a vivid vision of what they wanted, and it looks as if they were successful. To change another’s garden to better suit your own preference is unnecessary. Instead, take elements you enjoy from the work of others and incorporate them into your own design. This quaint design is both eye-catching and soothing at the same time. The bright, warm colors blend well with the cooler colors intermingled in the scene, and the natural look of the wooden stump in the center conveys a sense of simplicity. 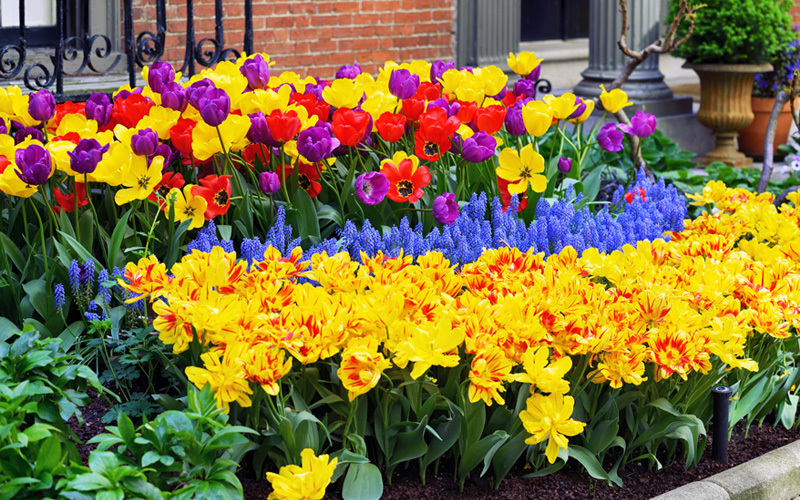 There aren’t many flowers that are as recognizable as the tulip, and this garden is completely filled with them. The reds, purples, and yellows of the background provide a great setting for the shorter orange and blue flowers up front. This tiered design is gorgeous. This simple garden is quite calming to view for its short yet vibrant flowers. The matching short picket fence is an excellent added touch, providing the scene with a sense of organization and purposeful design. The array of purples and whites is also quite pleasing. This is a perfect example of how a garden can be exactly what the gardener wants. The design of the rock path through the forest of flowers and small tress is reminiscent of a scene from any number of fantasy novels. It is hard to see anything but a perfect garden when you look at this photo, and it is quite exquisite. The perfection of the grassy areas contrasting the well-designed layouts of multiple flowers is both alluring and fantastic. 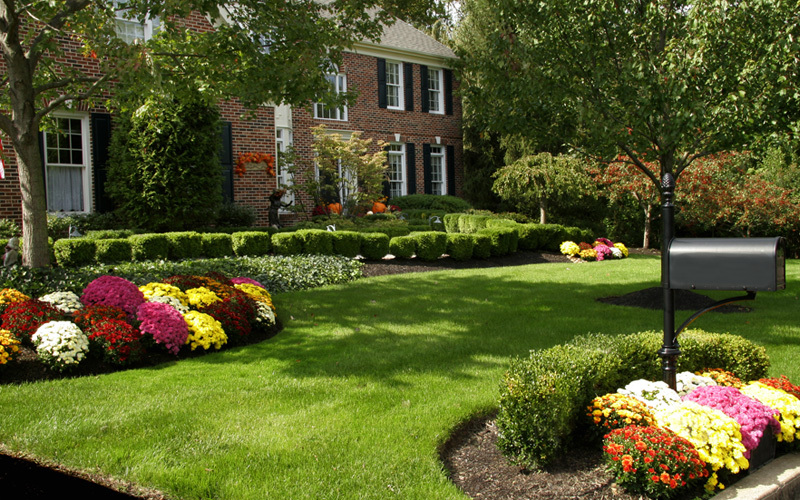 There is no reason why a beautiful garden can’t exist right in your front yard. 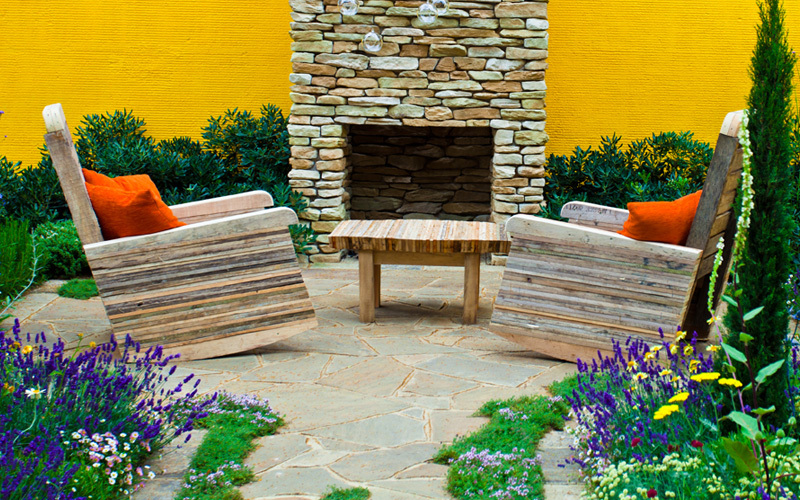 This garden perfectly accents the home while balancing color and function. The warm colors remind one of the beginning of the fall season when the leaves change. 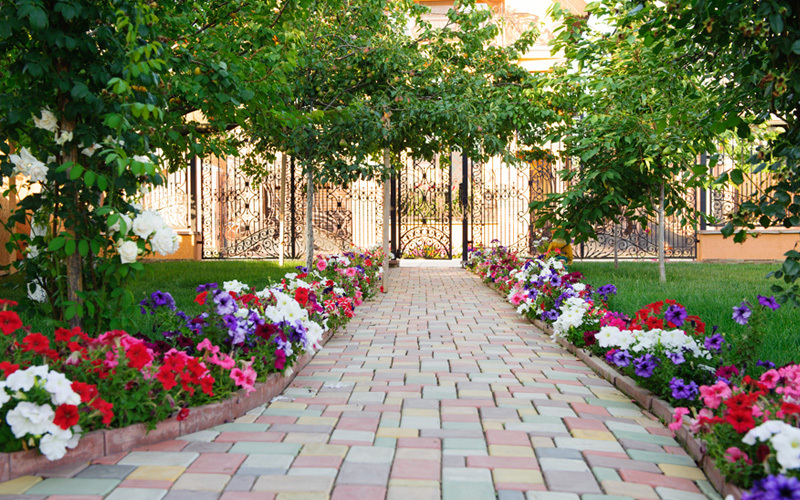 This small garden is complemented with a wrought iron gate and an adorable brick path in a myriad of pastel colors. 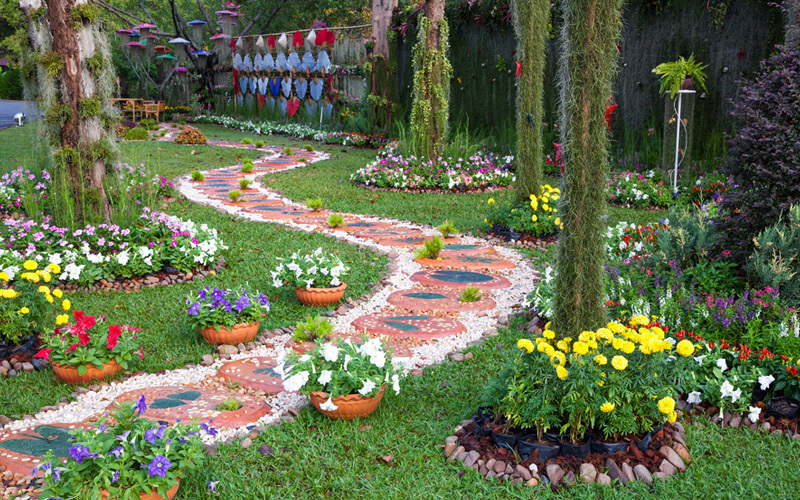 Vibrant flowers of pink, purple, red, and white adorn the sides of the cute stone path with a flash of brilliant color. Who says a garden has to be on the ground? 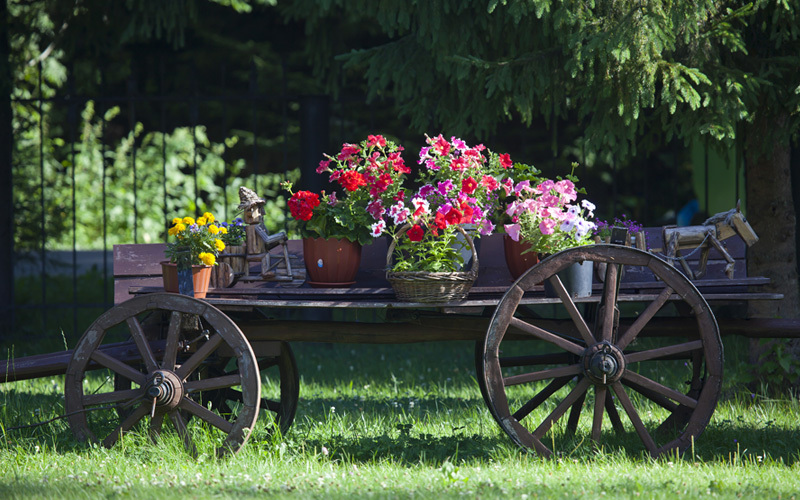 Potted plants are just as viable when arranging a garden, and incorporating an antique such as this rolling cart is a brilliant move. A few simple flowers brings the whole thing together nicely. There’s nothing quite like a hanging garden, and this example is one that has subtle brilliance for its design. 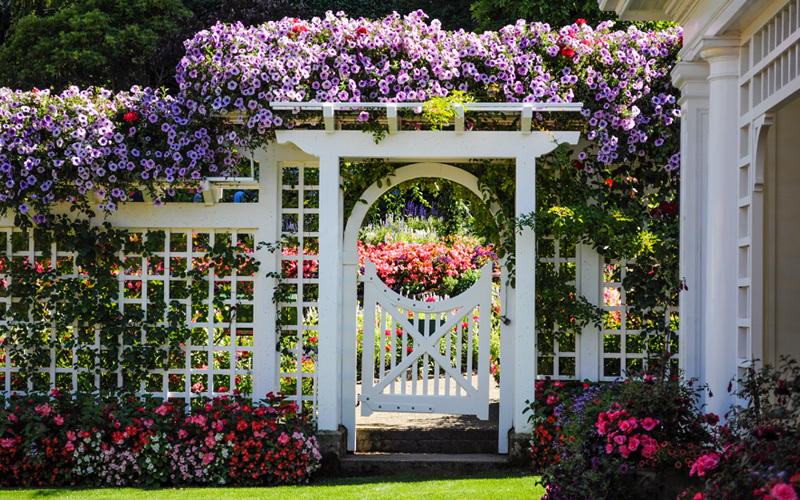 The beautiful gate is completely surrounded by the beauty of the garden, which continues onward through the other side. There are such bright purples above the arch! 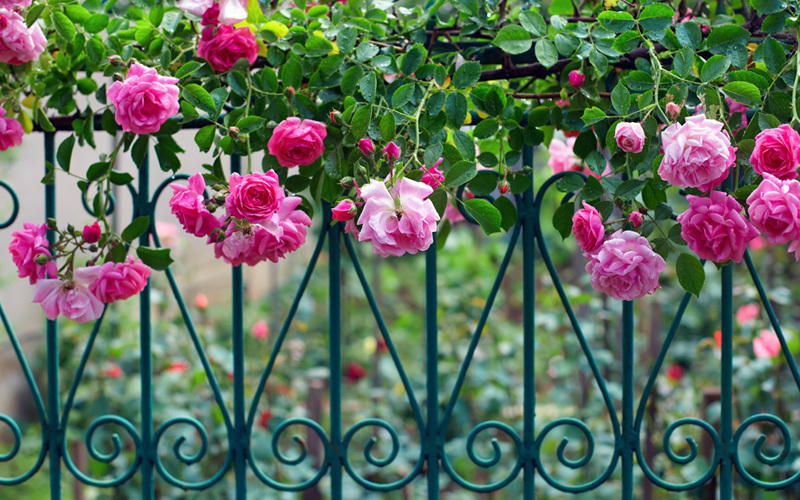 The beauty of a garden is not dependent on its size, as you can plainly see from this simple yet beautiful collection of hanging roses. Each flower is its own element of the arrangement, and they combine to form something greater than the sum of their parts. This brilliant example for a front lawn garden portrays a sense of water flowing over rocks, much like how a waterfall cascades down a mountain. The tall, thin flowers in the back are continued with denser, shorter flowers in front, followed by a continuous spill of flowers. 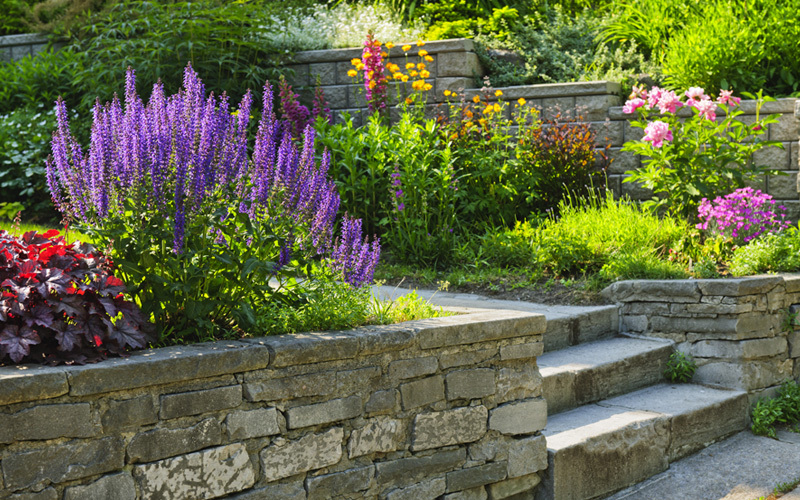 These simple stone steps have much more beauty to them than meets the eye. 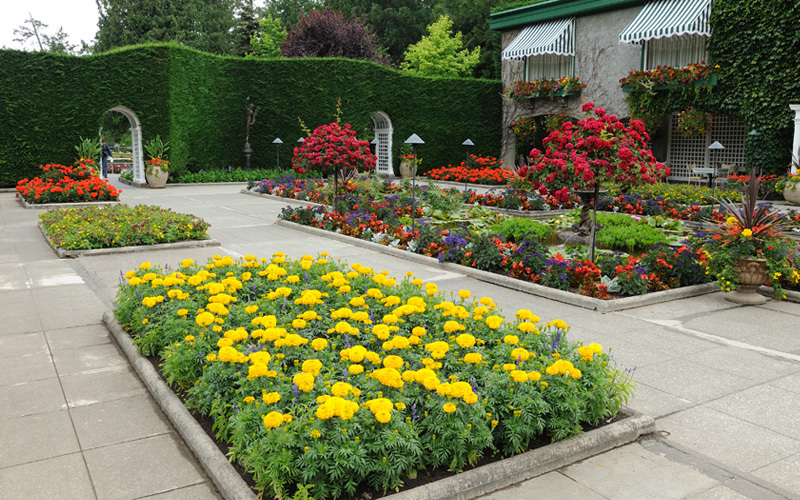 They are flanked by gorgeous flowers and shrubs that are designed to be enjoyed as one walks down the wide path. 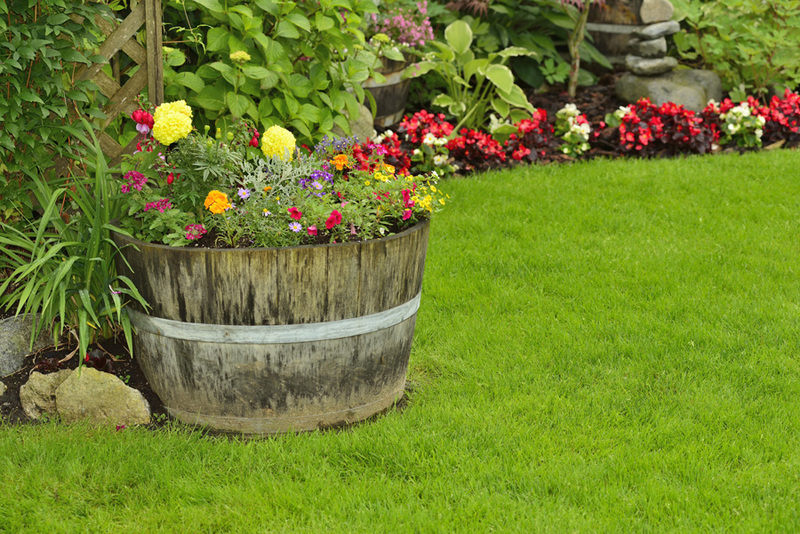 Simplicity is key in many instances when gardening. 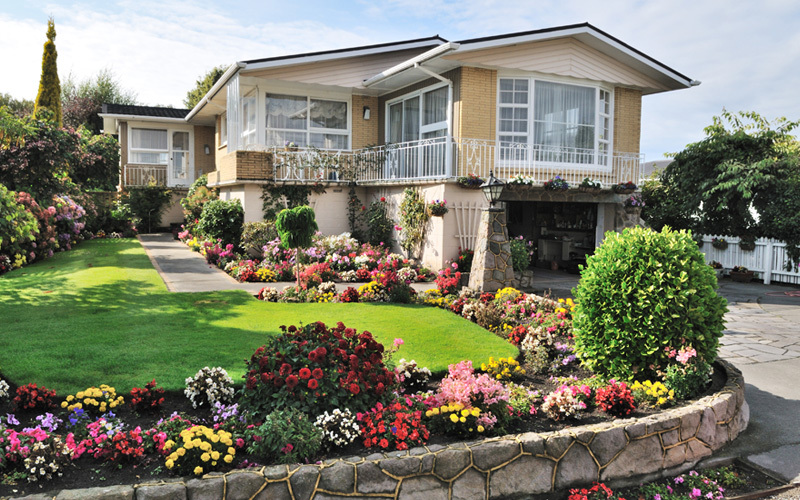 There is much more than expert gardening going on in this example. The homeowner has a clear goal to create a singular impression when viewing the home, and that impression is precision. There is nothing but perfection here, from the design to the details of the home itself. 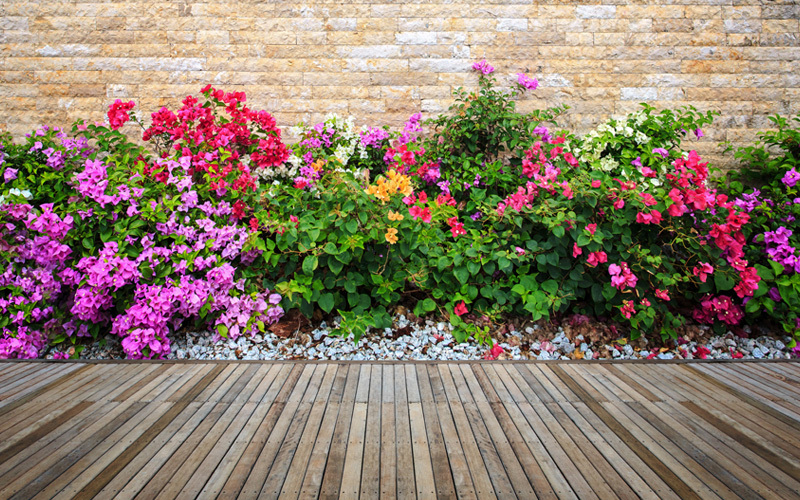 The best way to create a stunning garden like the others in this article is to plant beautiful flowers from the very beginning. If color is what you are all about, you can follow the example here and blend multiple flower styles together in a single arrangement. Not every garden is going to be a centerpiece in its own right. This small garden is more of an accent piece to the wall behind it, giving a much more ornate experience to those walking by. The oranges, reds, and greens create a more lively space. Organization on a large scale sometimes demands compartmentalization, and that is very true for gardens as well. This design for a courtyard has created individual flower beds that could be treated as individual gardens, and each garden comes together to create a larger image of the whole unit. 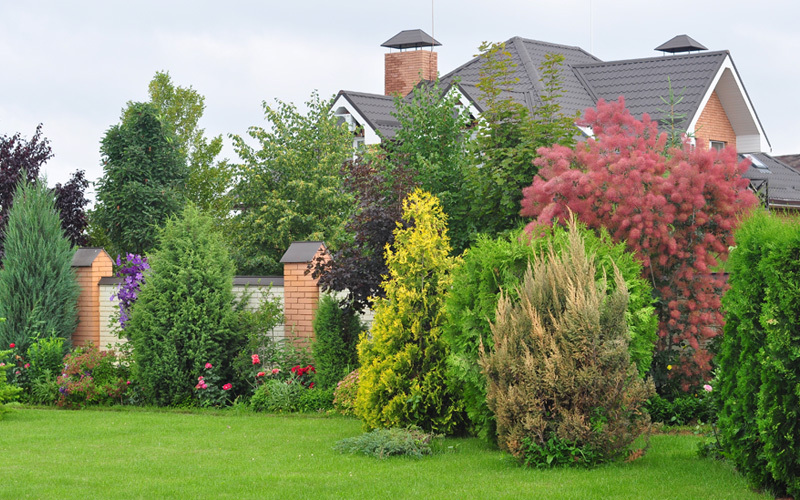 Gardeners often forget that trees can be just as valuable a tool as any other decorative plant when it comes to landscaping and gardening. In many cases, like this one, trees provide something flowers can not. The combination of these starkly different trees is both haunting and provocative. 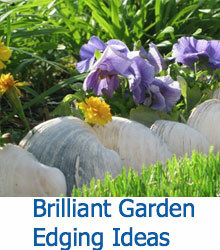 Creativity is vital when producing a vivid garden. The bottoms of old wooden barrels make excellent planters, as this gardener has exemplified here. 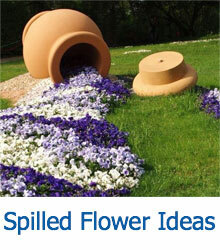 They can be used for accent or as a centerpiece. 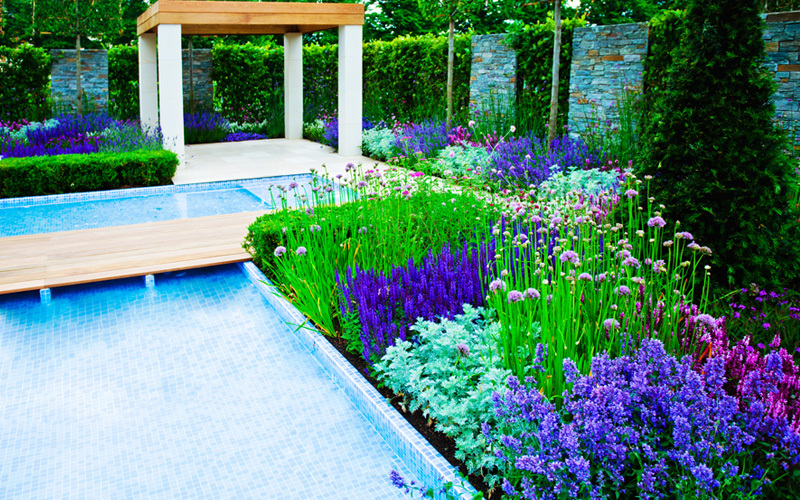 A pool is one of the best settings for a garden since the flowers and other plants are able to complement the water and the general environment of the pool. These aqua-colored flowers were clearly chosen for their association with pool hues. If you have the space and the drive, you can create an outdoor living room similar to this one. The garden accenting the space is vital for a pleasing experience, and it is crucial that the garden not be overwhelming. A few simple yet bright flowers like these can do wonders.